HENTON. 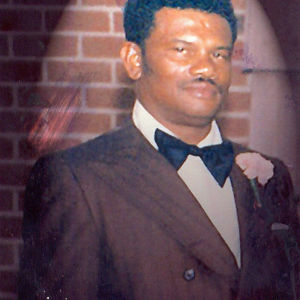 Ivan Lloyd Henton, 76. of East Hartford, entered eternal rest peacefully at home on Saturday, (April 8. 2006) after a long illness. By his side were his daughters Fayette, Debbie, Cheryl and granddaughter, Brenda. Ivan was born in Arenon Town, Clarendon, Jamaica on January 17, 1930, son of the late Daniel and Jemima (Johnson) Henton. Ivan resided in East Hartford for the past four years with his daughter, Fayette and son-in-law, George. For 37 years before retirement in 1997, he was the proud owner with his sons, Karl and Rodney, of Ivan & Sons in West Hartford where he passed on his many skills to his family and friends. Ivan leaves to mourn 13 children, stepchildren, 26 grandchildren and one great granddaughter, Ashley Thompson (who he called his little pumpkin), 3 sisters, 2 brothers, sons-in-law, daughters-in-law, nieces, nephews and a host of friends. His daughter would like to thank the caring staffs of VNA/Hospice of Hartford and Glastonbury, Hartford Medical Group of Manchester, Hartford Hospital and Consulting Cardiologists Group for their unfailing assistance during his illness. A special thanks and blessing to his grandson, Vernon Thompson, Brenda Brezzo, Millicent Fitzpatrick, Cleon Moses and family, Mary Bryant, Mr. & Mrs. Jeffery Smith, Mr. & Mrs. Richard Strong, Mr. & Mrs. Kenneth Lewis and Katharine Bryant for all the love they gave to my father and I. I would like to thank a very special person in my life, my mother, Rebecca Chambers Henton, who guided me through this long journey. Funeral services will be held Saturday, April 15, 2 p.m., at Carmon Windsor Funeral Home, 807 Bloomfield Ave., Windsor. Burial will be in Silver Lane Cemetery, East Hartford at the convenience of his family. His family will receive friends Saturday from 12-2 p.m. at the Carmon Windsor Funeral Home. In lieu of flowers donations may be made to American Heart Association, 2550 US Highway 1, N. Brunswick, NJ 08902-4301 or to VNA Hospice 103 Woodland St., Hartford, CT 06105. To leave on-line condolences please visit www.carmonfuneralhome.com.